flower school: new peony class added! 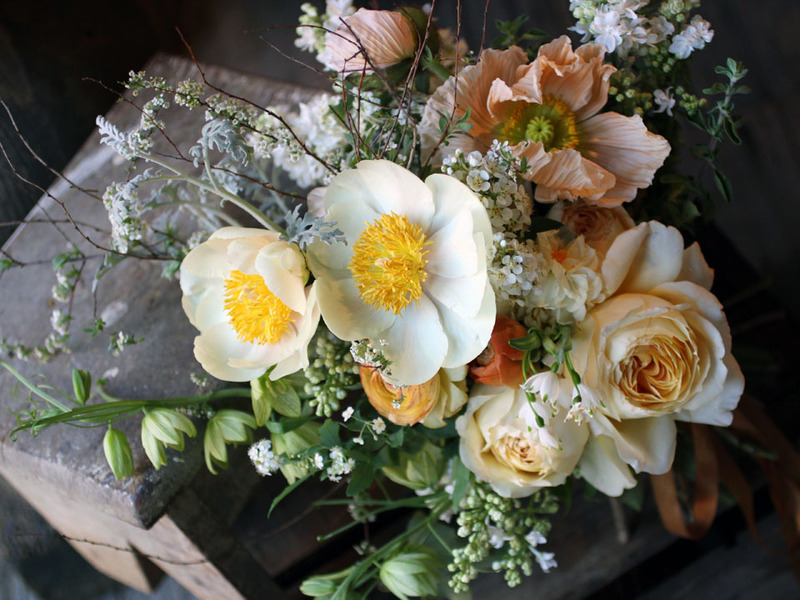 We'll be hauling buckets and buckets of peonies into the studio come the end of May - join us for an evening to learn about all the varieties and ways to employ this floral queen in bouquets and arrangements for the table. Alongside a host of other late spring material such as thistles, delphiniums, columbine (hopefully! - one of our favorite late spring flowers), green blueberry, nigella, ornamental oregano, garden roses, and more. Each student will make an arrangement to take home in a silver julep-cup style vase. Open to all levels. Of course, class will finish with prosecco and snacks. This additional class has made my grey day a lot brighter! Thanks! My friend Nichole and I (Lynn) LOVE your blog. Will you ever hold one on the West Coast? We're up in Seattle and need some floral-loveliness over here! Thanks for your comment. Perhaps we'll take this show on the road when wedding season slows down. We'll be sure to let you know! oh i wish i was in the area and could come to this class tomorrow. i had so much fun at the mother's day class, thanks again ladies. and also, i really appreciate that you post the names of all the flowers that you use, it is great for people like me who are gathering resources.